drank a lake when it thirsted. the poor worm for its liver. the looser of the worm’s flood? she would be the snake’s milker. and crusts from hard loaves. and sheep with blazed heads. its snout to six axe-handles. and gaped at its tail. the little lords up pine-trees. 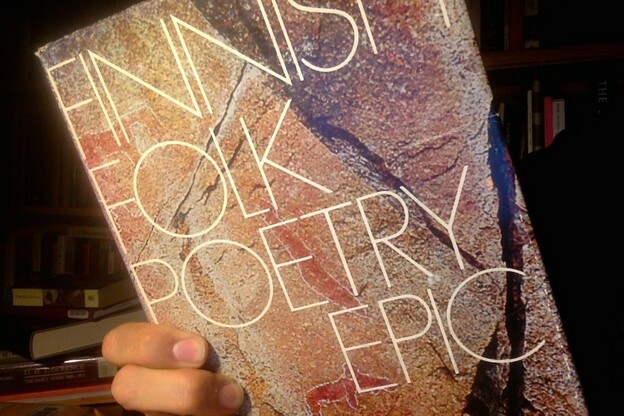 Appendix: Another huge book, similar in purpose and scope to Finnish Folk Poetry: Epic, is The Great Bear: A Thematic Anthology of Oral Poetry in the Finno-Ugrian Languages, edited by Lauri Honko, Senni Timonen and Michael Branch; poems translated by Keith Bosley (Finnish Literature Society, 1993). Basically FFPE 2.0. Also expensive as hell.